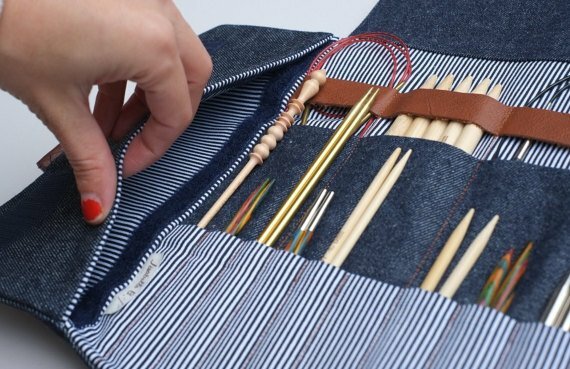 Needle case made of sturdy denim. You can put your favorite Needles, Circulars, DPNs, Crochets and everything you need to complete your projects. It is sophisticated enough to be proud of with the leather tab, but looks casual enough with the dark denim. It will last for years and will not go out of style because it has that classic look. 15" width X 13" high when open, including flaps.